I recently started to fullfil a livelong dream: Mastering ( or at least try to ) the Manouche Rhythm guitar. Since I am a professional drummer I do not struggle too much with the right hand, keeping time, dynamics or understanding of song structure or musical context. I have got some very nice and »original« sounding albeit complicated voicings and I think I should rather live with unprecise sounding chords in the beginning and then work my way into the details once they are more internalized then to simplify the voicings. Some guitarists however told me to rather be very precise with the finger positioning in the beginning. What is your take on that? Does the stretching come just by playing alone when you are not a kid anymore? Start with simple 3 chord songs and simple left hand grips and play slowly at first. No faster than you can play cleanly. Then slowly increase tempo. Thanks for the tip. Which songs would you recommend? I of course worked with minor swing and omitting the in between chords. From your post it's unclear whether you know how to play guitar or not at all... anyway, I am writing in assumption that you are brand new to guitar. (1) Make sure each chord sound clean. Make sure the strumming hit all 6 strings including those need to be muted. 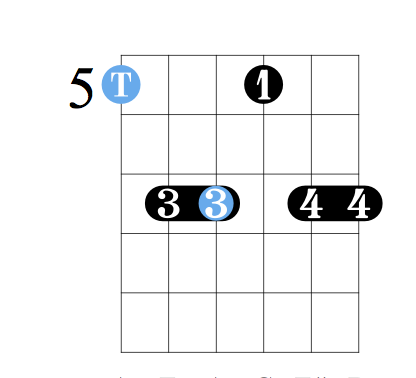 There are plenty of easier chords to start with. No need to immediately learn chords that need the participation of left thumb. (2) Once the fingers know those chords, play sloooooooooowly to make sure the whole tune sounds clean. 45 beats a second or even slower. (3) Make sure the left thumb is in the proper place and not stress it out by bending too much and by not relaxing. Relax not only the thumb but also the whole shoulder. In the beginning, what you are experiencing is normal when fretting chords. Something that worked for me and I've seen it suggested is this. Fret the chord. Play one string at a time slowly. Make sure that everything sounds good. Notes are clear with no buzzing and strings muted stay that way. When you encounter a issue, look and analyse what is going wrong. Move your fingers until it sounds good. Take note of the position and the feel of the hand. Take your hand off and then re fret the chord and do the same thing as before. Repeat over and over until it sounds good. Then do the same thing but while strumming all the notes at once. If it doesn't sound good, go back and analyse the problem. Also make sure to stretch and warm up before and stay relaxed. If you are tensing up, take a short break. For songs, I would recommend any blues form. At their core, they are only 3 chords. Easy to remember and getting started. Once you get it in your ears and hands, you can focus more on clean sound and good tone, instead or worrying about a more complex progression. Start with simple grips (3 note "Freddie Green" style work well) to get the left hand going in coordination with the right. Start at slow tempos and play with a metronome or recording so that you know you are not cheating on keeping good time. When you can do that and have good tone and swinging then add in more complicated grips or songs with more complicated chord structures. It helps to pick songs that you like. And remember that even though you are playing guitar you are still the percussionist. I got some beautiful voicings from Hono Winterstein for Minor Swing ( see attached file ) but I am really struggeling to make the C sound on the Am6/9. 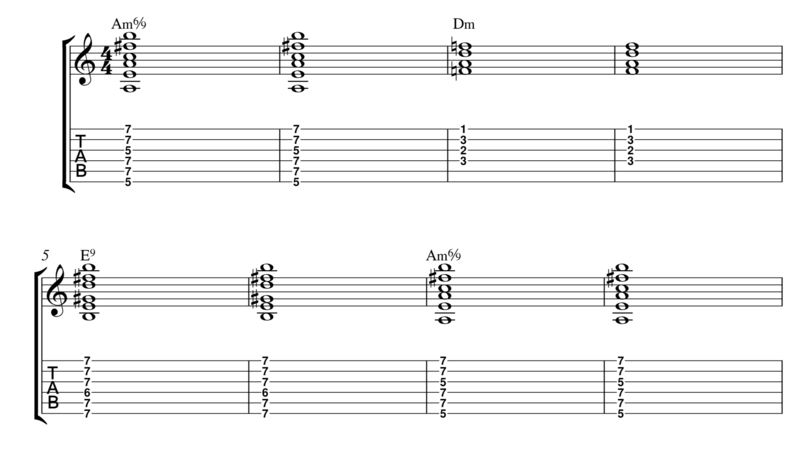 Attached are also both fingerings I am trying. 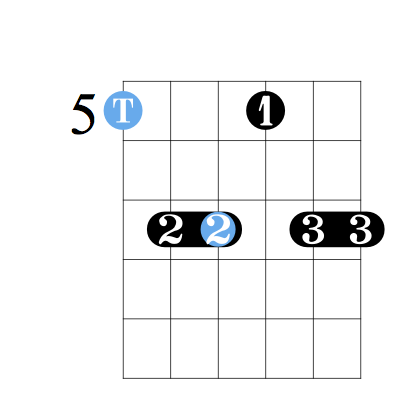 Any which way, the C always is muted because of the way the 2nd and 3rd strings are pressed ... Any pointers? But again I never play in that high register so I would use Am/C without the 6th on top.